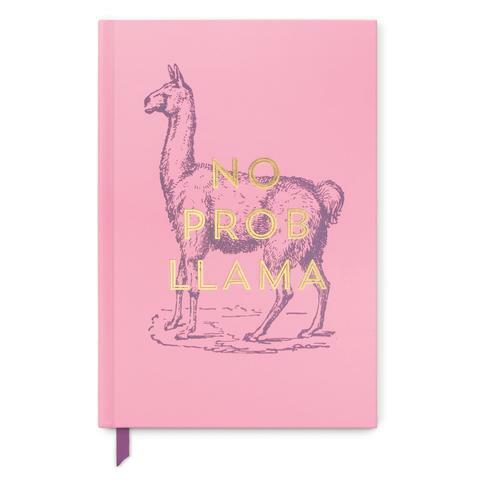 Bang on trend, this candy pink notebook features a purple Llama embossed in gold on the cover with "No Prob Llama". 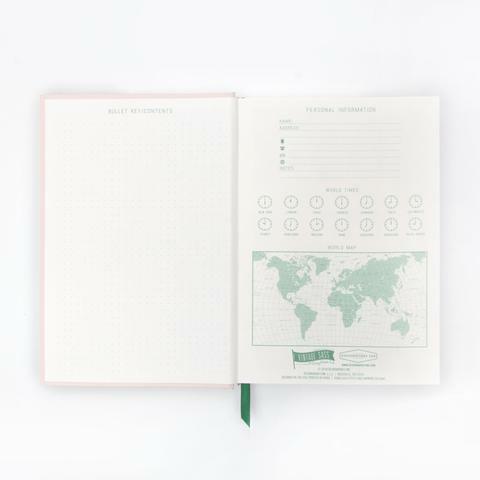 It contains 240 ruled pages for you to use as you wish and a ribbon marker so that you don’t lose your train of thought, or forget the all important 'to do' list. 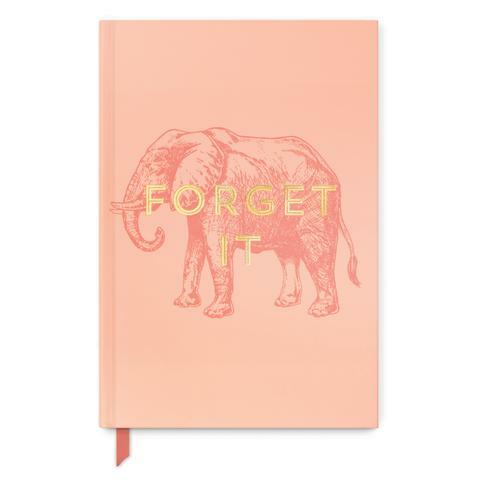 This notebook is a lovely shade of pink and features a contrast Elephant embossed in gold on the cover with "Forget It". 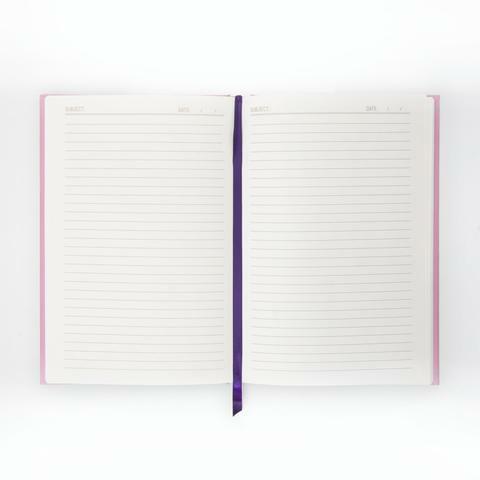 It contains 240 ruled pages for you to use as you wish and a ribbon marker so that you don’t lose your train of thought, or forget the all important 'to do' list. 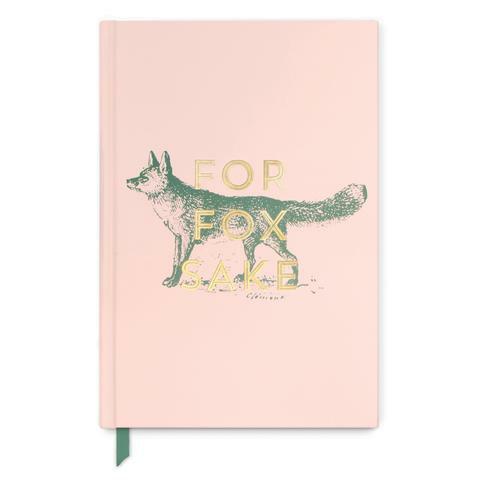 This cheeky journal/notebook is a lovely shade of pink and features a racing green Fox with ‘For Fox Sake’ embossed in gold on the cover. 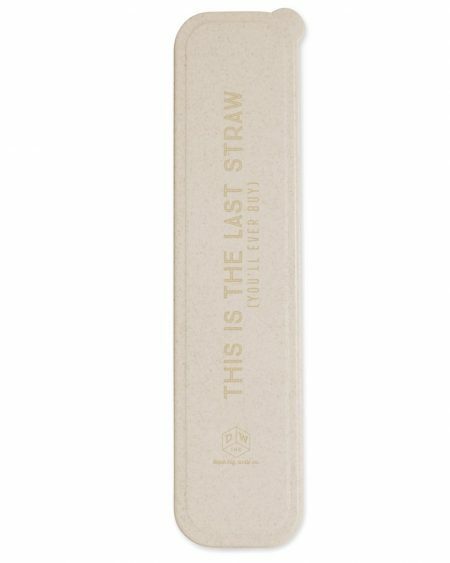 It contains 240 ruled pages for you to use as you wish and a ribbon marker so that you don’t lose your train of thought. 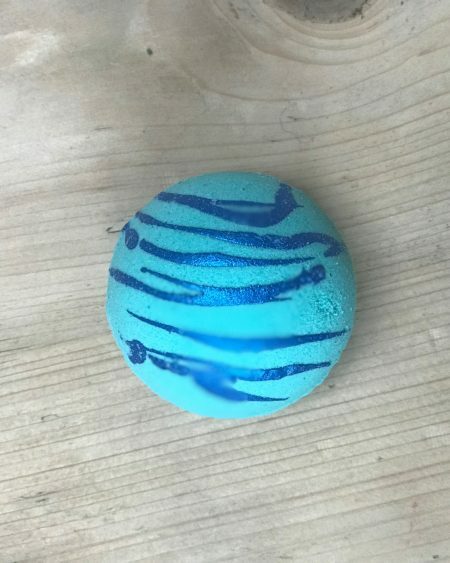 This dark greeny/blue ceramic star trinket dish is slightly more classic in its design than others in our range. 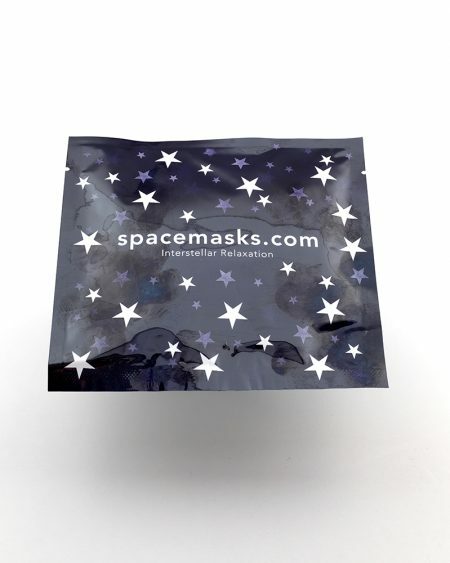 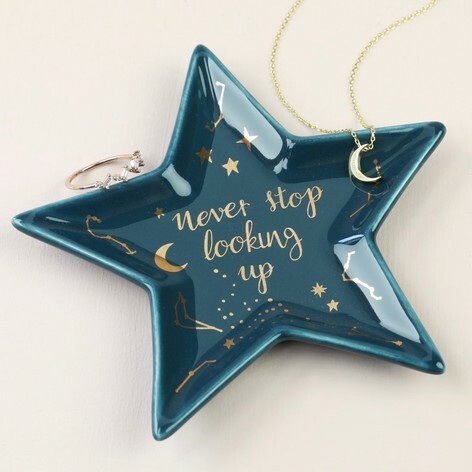 It features the lovely quote "never stop looking up" which looks beautiful in gold against the navy blue with a scattering of stars and the moon. 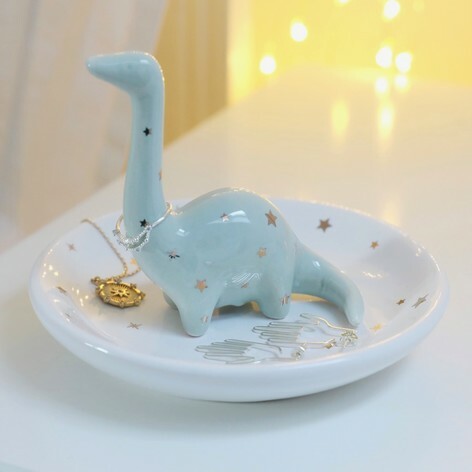 This magical Unicorn trinket dish is the perfect gift for those that believe in magical, mystical creatures. 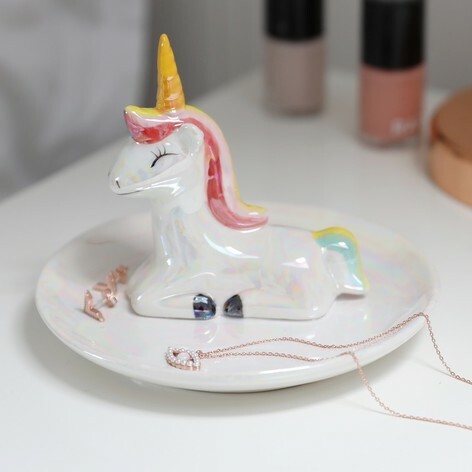 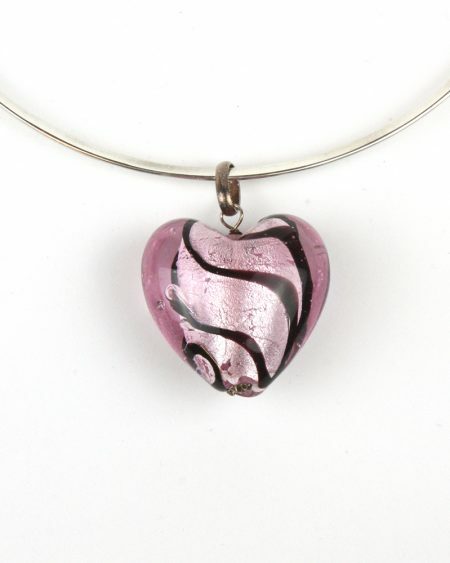 It features a colourful, iridescent unicorn which allows you to hang and store your jewellery safely. 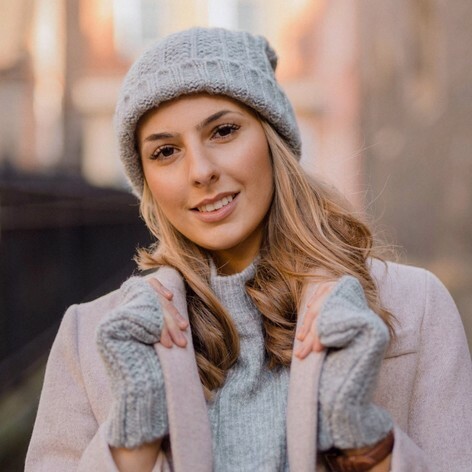 Ladies grey knitted beanie hat featuring pink faux fur pom pom. 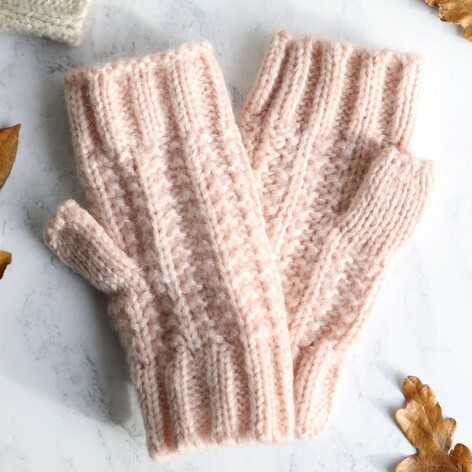 This is ideal to keep you warm and cosy on those Winter walks this season. 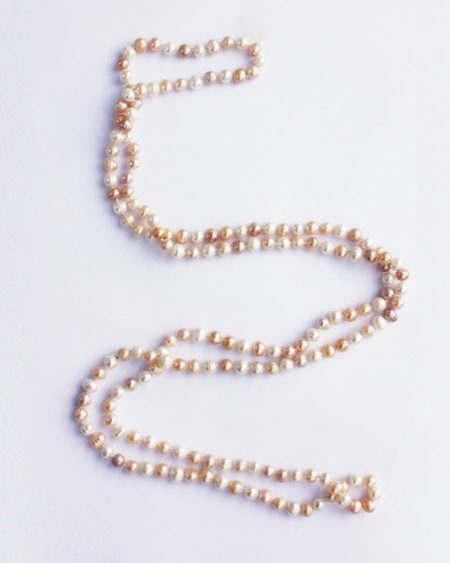 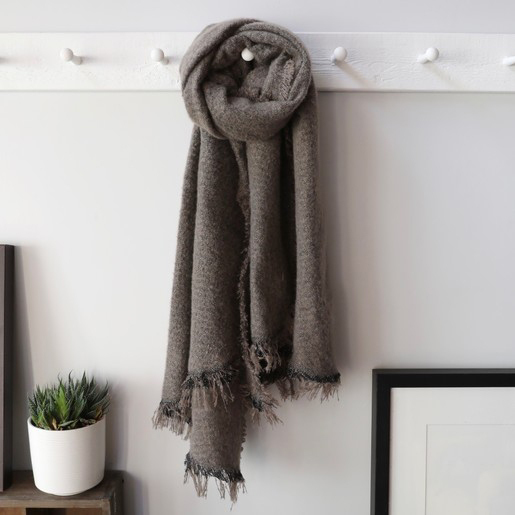 Its made from knitted acrylic wool in a pale pink and is finished with a contrast white faux-fur pom pom. 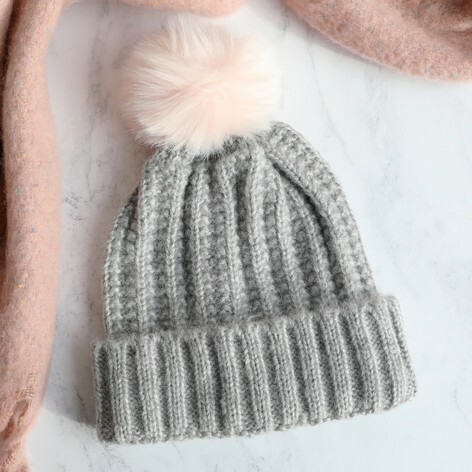 Ladies Pink knitted beanie hat featuring faux fur grey, white and pink pom pom. 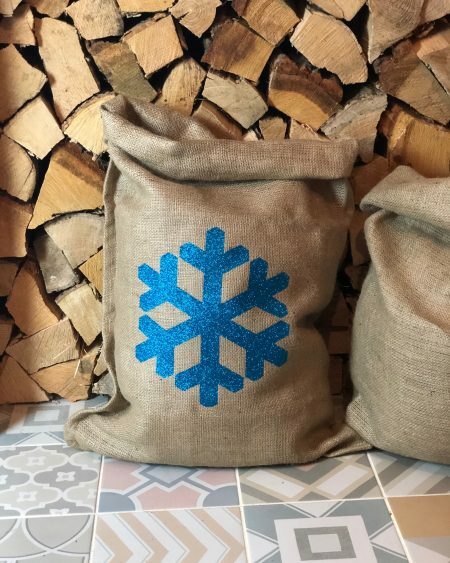 This is ideal to keep you warm and cosy on those Winter walks this season. 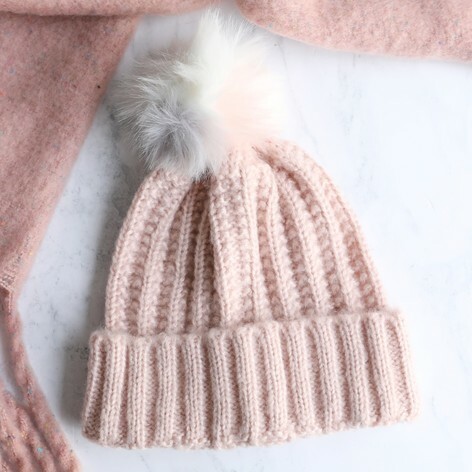 Its made from knitted acrylic wool in a pale pink and is finished with a contrast white faux-fur pom pom. 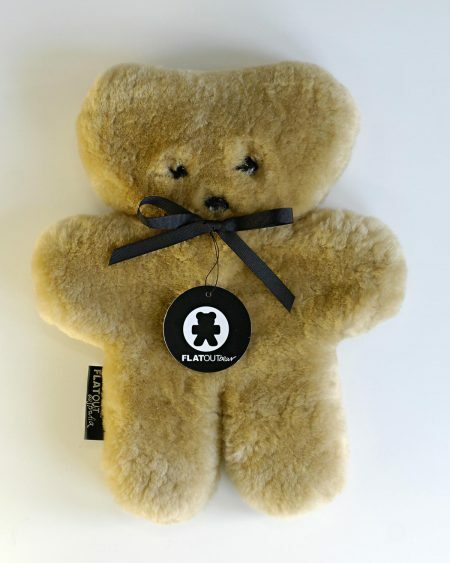 Hurting yourself never looked so cute! 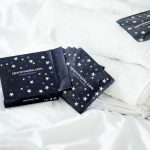 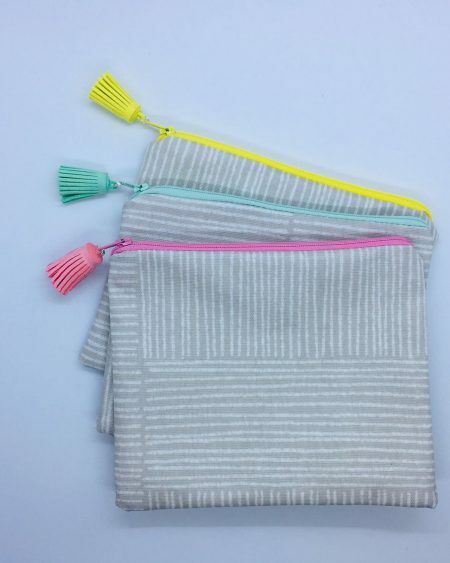 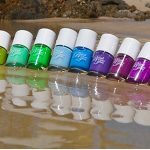 We are so excited to be stocking these gorgeous little Ouch Pouches. 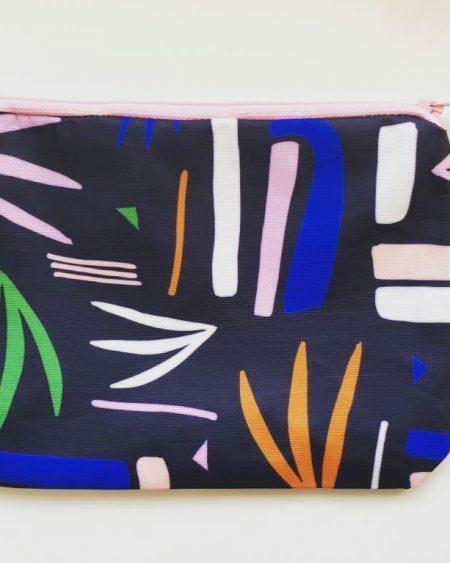 Each pouch is handmade from oil cloth making them wipe clean and the perfect companion for your baby change bag, or handbag if you're lucky enough to escape with one! 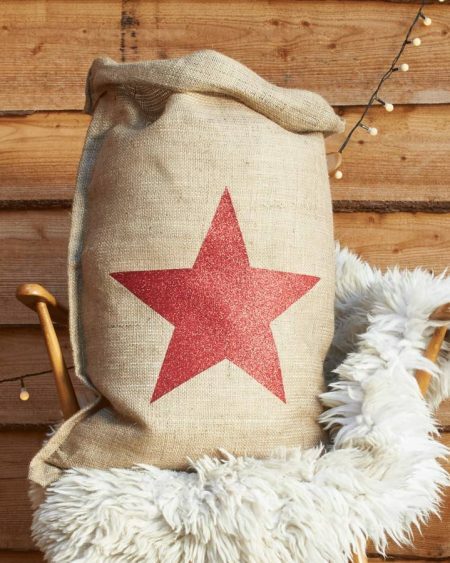 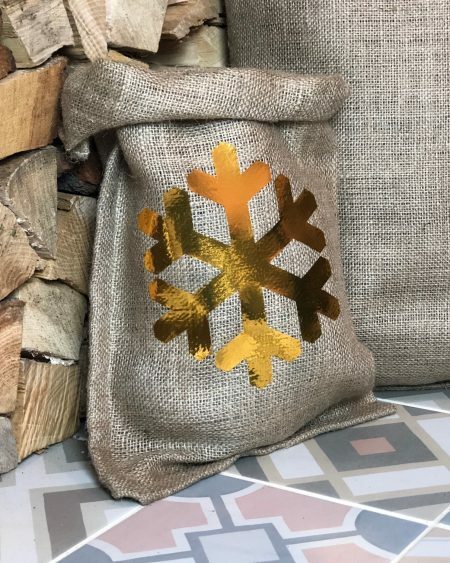 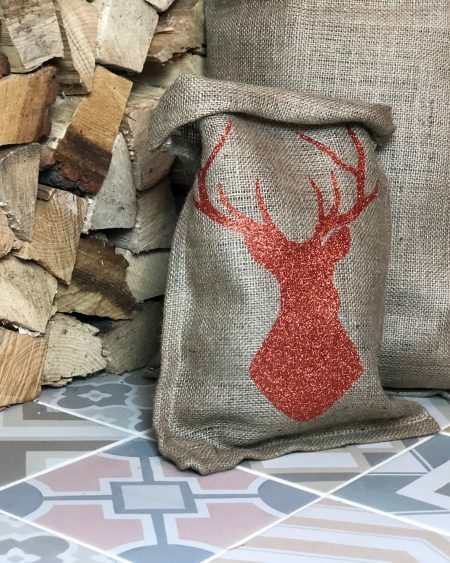 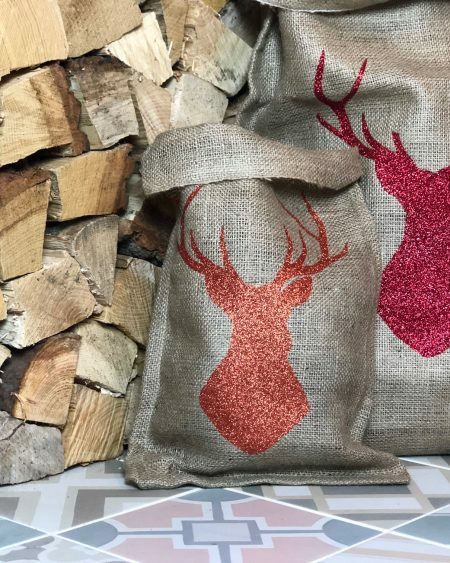 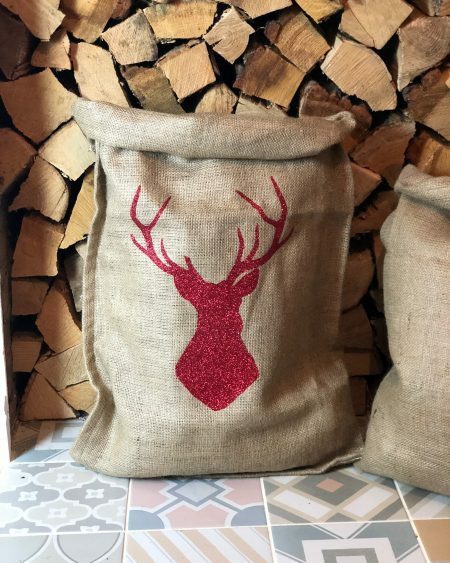 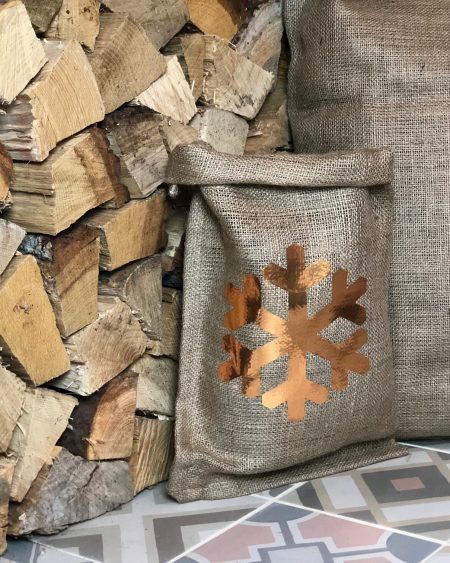 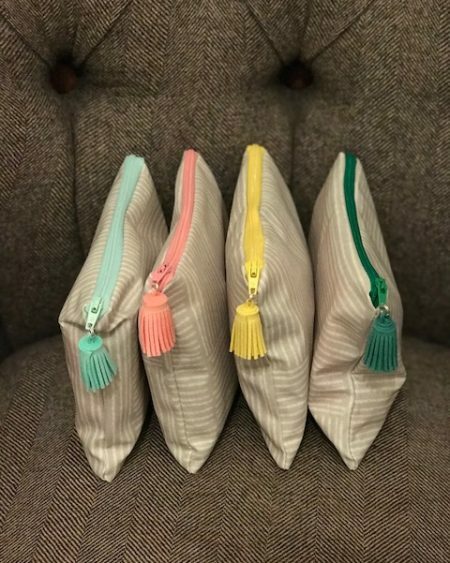 For the young and old alike, these hessian Santa sacks are a wonderful way to make Christmas an even more magical experience. 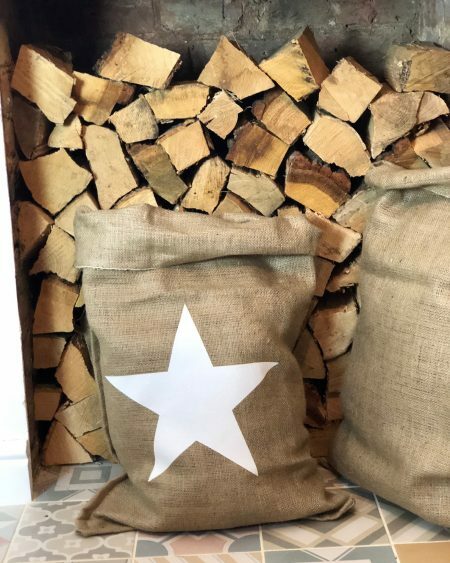 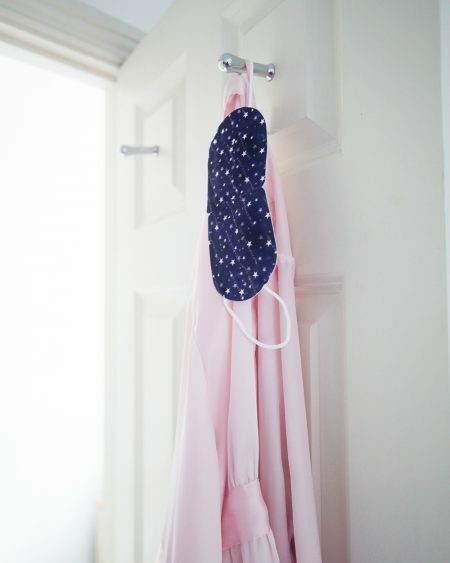 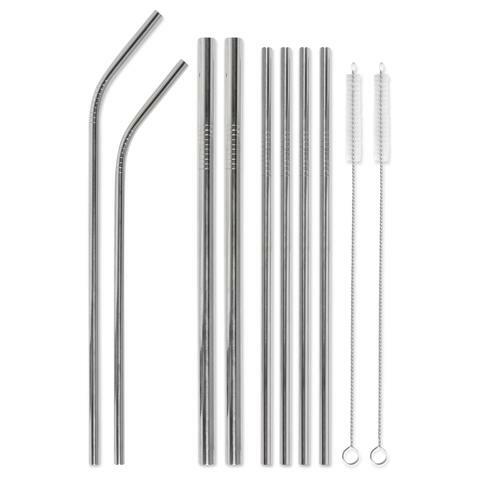 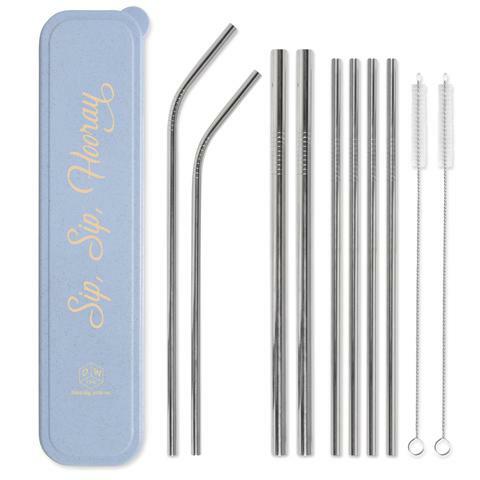 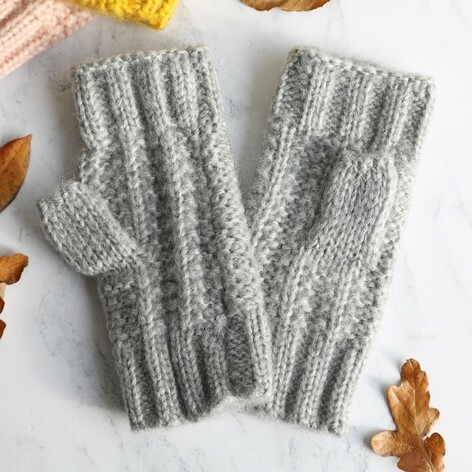 They're ideal to fold away and use year after year and are super sturdy, so there are no handles breaking as you load/unload the car when visiting family and friends. 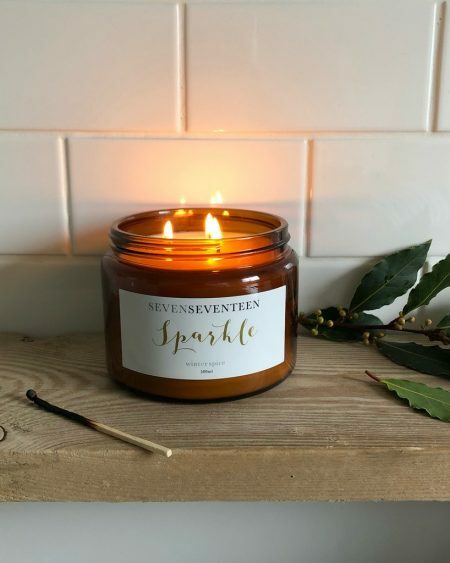 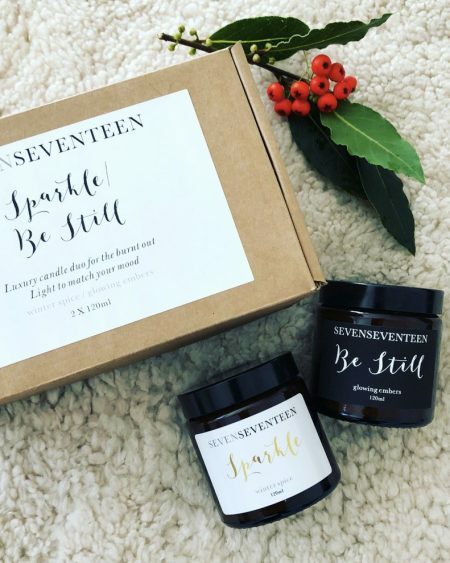 Cast your eyes on this beautiful Seven Seventeen “Sparkle” Candle. 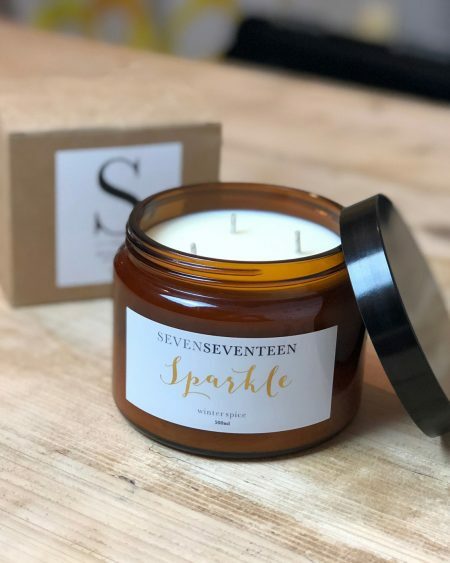 This three wick candle has been hand-poured for an even distribution of the seasonal Winter Spice fragrance. 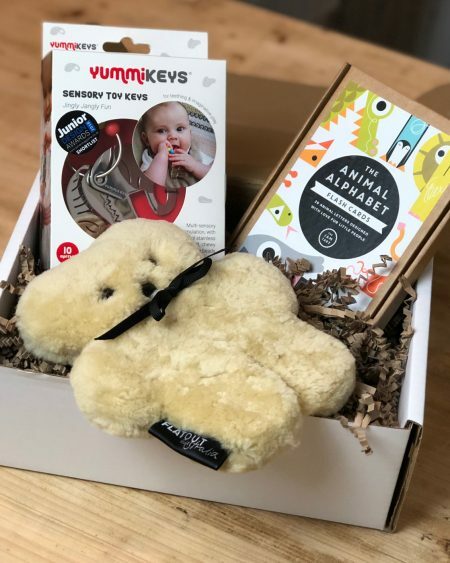 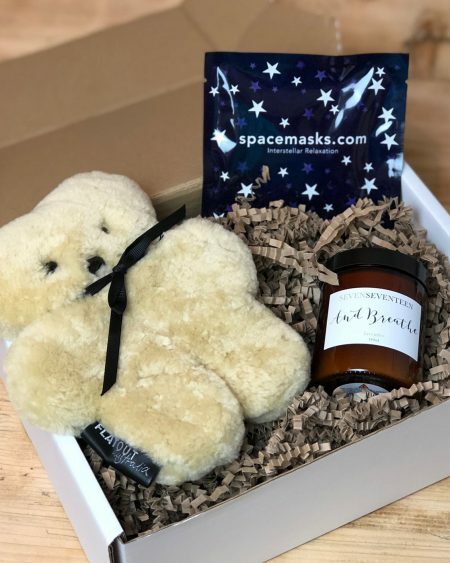 Our Hello Little One is a beautifully curated gift box that contains gifts that will see your friend or loved one's new arrival through their first year. 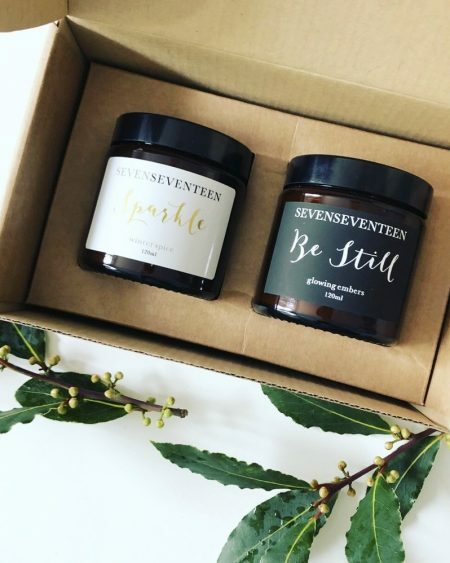 Have you got a friend, relative or loved one that is feeling a little under the weather? 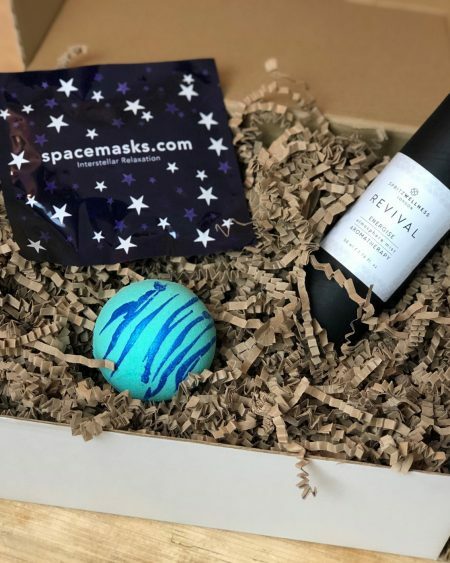 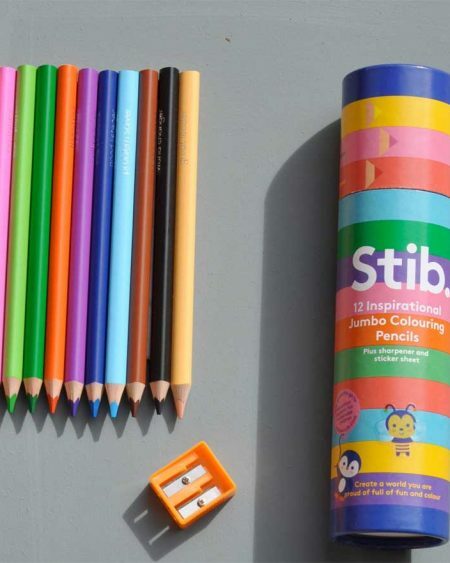 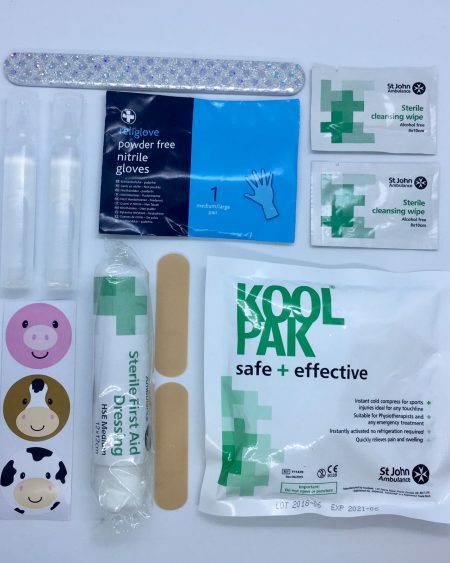 Send them an instant pick me up in the post with our Get Well Soon gift box of goodies. 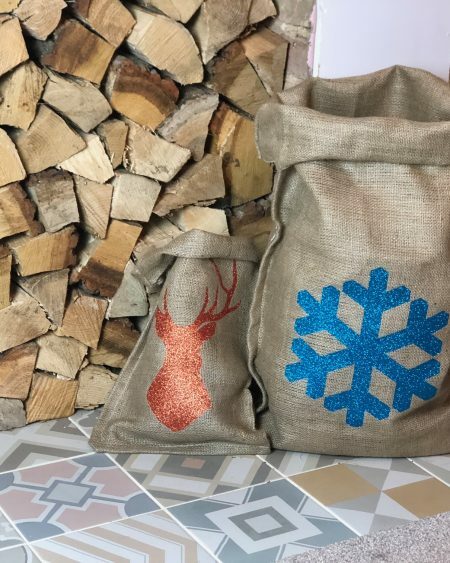 Inside they'll find a selection of gifts designed to relieve the congestion, perk them up and hopefully send the bugs firmly on their way. 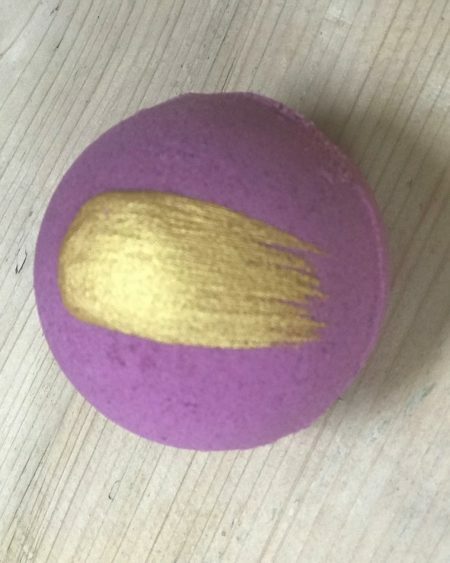 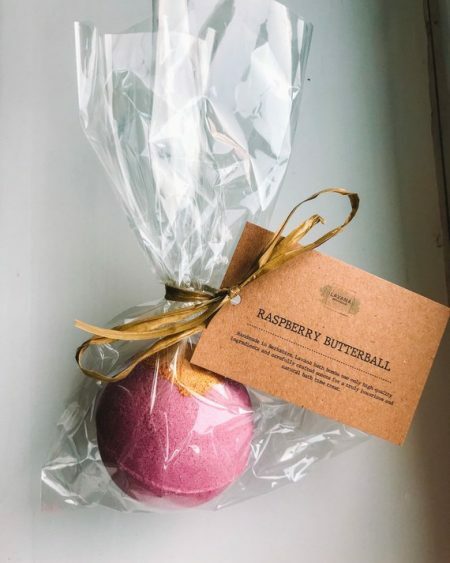 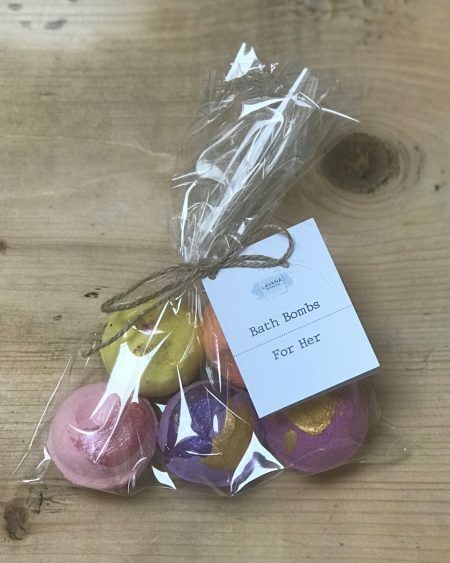 x1 Handmade and Handpainted Raspberry Butterball Bath Bomb. 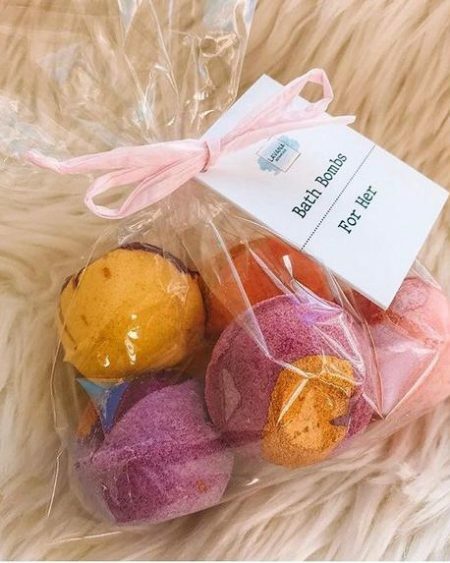 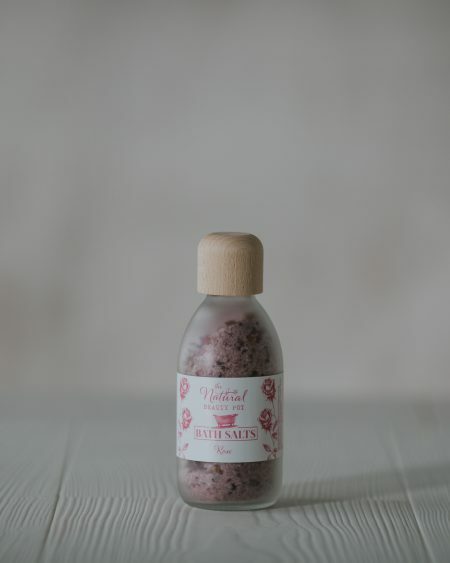 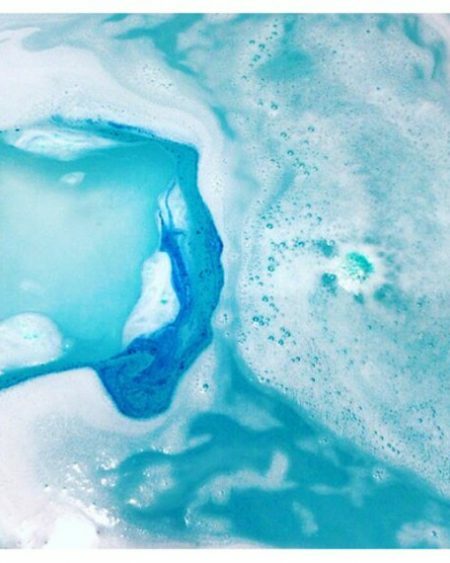 Dotted with just the right amount of Shea butter to moisturise your skin without feeling sticky, you’ll simply melt away into your fresh and fruity bath.